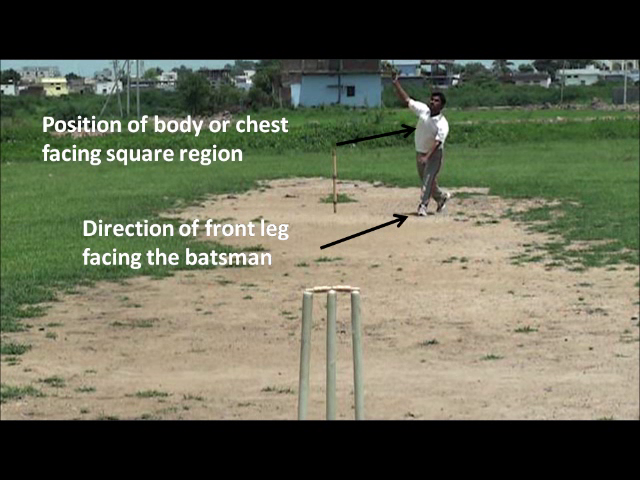 Well side on is a kind of bowling action where the bowler will try to allow his body to open towards the square region with the hips facing towards the mid wicket region and also the back leg facing the square region. 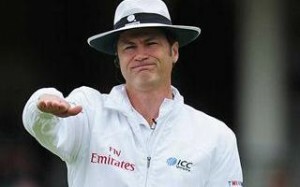 Now lets learn how to bowl side on off break bowling. Off break is the delivery which should be always pitched in and around the off stump line for a right handed batsman and is allowed to spin or move into the batsman after hitting the pitch. 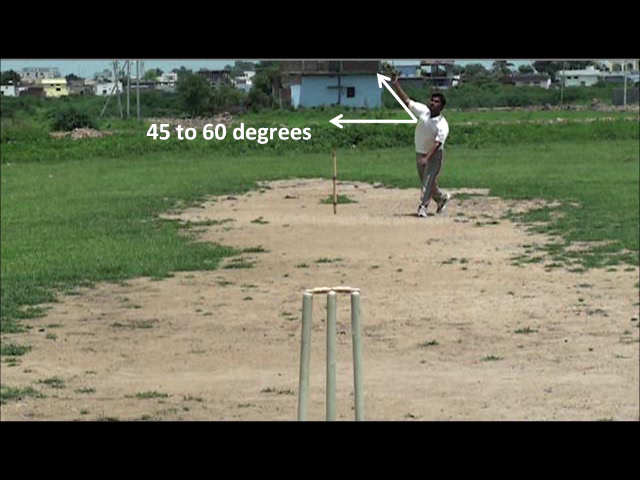 Since this type of delivery always pitches in and around the different off stump lines for a right handed batsman and breaks from different lines of pitch of the ball to move or spin into the batsman we call this as a basic off break or off spinning delivery. To bowl off break the bowler needs to concentrate on different important things like gripping, position of arm, wrist, body, front leg and rotation of the ball. Well the first thing is cross seam the ball in such a way that the index finger should be rested nicely on the seam, the middle finger should be separated from index finger resting on the seam comfortably. The distance between the index and middle has to large but comfortable. It shouldn’t be too small or too large. In order to spin up the ball from left to right the distance has to large and comfortable. The ring and small fingers which doesn’t play any major role are rested along with the seam in down direction. Finally the thumb which plays the supporting role for index finger can be switched on or off depending on the comfortability of the individual. Most often the thumb is switched on. 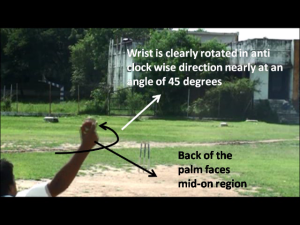 Since the index finger plays the major role in spinning the ball from left to right it is called as the spinning or turning finger. The grip shouldn’t be too tight or too loose, it should be comfortable, to get the comfortability try to spin the ball from left to right throwing in the air from bottom to top whenever you get the time, generally in a over from ball to ball spinners do practice this exercise regularly to get the comfortability. 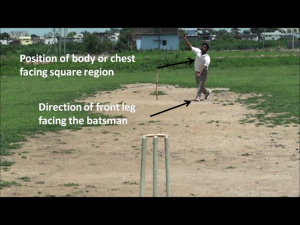 When you bowl a basic off break with a side on bowling action the direction of front leg will be towards the batsman or leg slip region and direction of chest or body will be towards the square region. 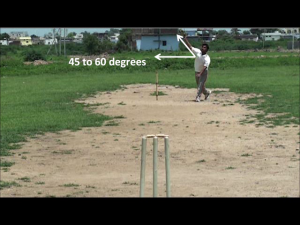 The position of arm can be raised at an angle of ranging from between the 45 to 60 degrees with an side on bowling action. 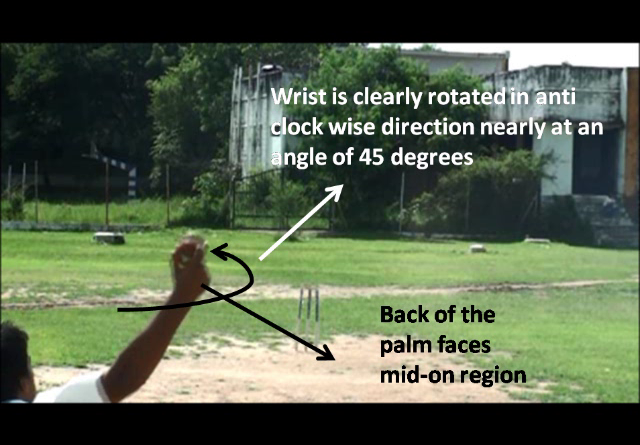 Well it may be a side on or front on bowling action, the position of wrist has to be rotated from basic 0 degree position to nearly 45 degree position in anti clock wise direction such that the back of the palm will have to face towards the mid-on region. 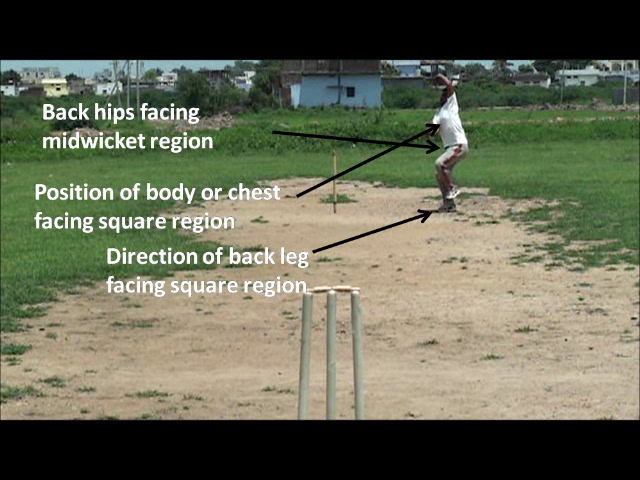 Well the reason to follow these four important applications is simply to make sure to rotate or spin the ball along with the seam in the direction of leg gully or backward square leg region, which in fact allows the moving ball to follow accordingly to the direction of position of the seam by moving or spinning into the batsman after hitting the pitch. 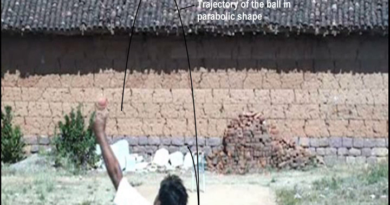 The ball gets released from front of the hand majorly with the help of index finger along with the support of middle and other fingers. 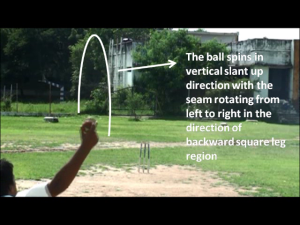 The ball rotates from left to right in vertical slant up direction with the seam facing towards the backward square leg region, in fact the trajectory of the ball will follow the curve or parabolic shape like moving from releasing point to “Top position” in the air and then moving towards down direction hitting in and around the off stump line, then moving accordingly to spin of the ball which is nothing but moves into the right handed batsman after hitting the pitch. And remember try to rotate or spin the ball as much as possible you can from left to right, in fact try to get the maximum spin on the ball so that you might get the drift from right to left in the air, which is the key in any spin bowling attack. At the end of the day this is how the combination of all the things can come together to bowl this kind of off break.